_Dr. Jason Bhan is a practicing family physician and an Assistant Clinical Professor and Community Preceptor at the Medical College of Virginia and is board certified in Family Medicine. 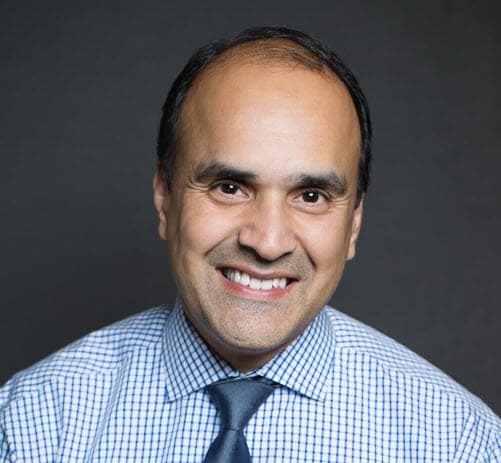 Dr. Bhan is Co-Founder and Chief Medical Officer of Ozmosis_, a great physician-only online resource for sharing medical knowledge between trusted practitioners. He is regarded as an emerging national expert in the applications of social media to healthcare and medicine and writes a regular blog on these topics and more at _his blog_. He’s got some great ideas and always has very practical advice for physicians and patients turning to the Internet for better healthcare information. Here’s what Jason had to say about Patient Social Networks. A recent Manhattan Research study revealed that over 60 million U.S. adults are now Health 2.0 consumers. This means that over 60 million consumers are using social media (social networks, blogs, videos, etc.) to interact and share their health experiences online. As physicians, we should be aware of the additional opportunities and resources our patients now have online. As we, ourselves, embrace new and innovative methods to learn from one another, we must be prepared to advise our patients and practice medicine in the social media age. The impact social media is having on medicine is most notable in four areas – patient social networks, social search, knowledge sources (wikipedia powered sites), and physician online communities. In this and subsequent posts we can examine, with more detail, each of these and their specific impact on the way we learn, practice, and care for our patients. Patient social networks are generally either diverse, all purpose communities, such as HealthCentral, MedHelp and RevolutionHealth or disease focused, such as Patients Like Me (neuro-degenerative diseases and mood disorders), Relief Insite (chronic pain), DiabetesMine (diabetes), and I’m Too Young for This (cancer patients from 15-40 years old). As these sites continue to grow in popularity, patients are using these communities to share and discuss daily life struggles or to cope with rare diseases. Patients Like Me, in particular, has made tremendous strides as it brings together over 20,000 patients who suffer from diseases such as ALS (Lou Gerhig’s Disease), MS (Multiple Sclerosis) and Parkinson’s Disease. Patients use visual tools to chart symptoms over time, rate treatments and drugs, and even track their own progress against fellow patients. Patients and physicians should be aware that the company shares data, stripped of names and other identifying information, with research hospitals, pharmaceutical companies and non-profit organizations. Inspire and Bristol-Myers Squibb recently started the Advanced Breast Cancer Community to offer both an information source and social network (support community) for people with advanced or metastatic breast cancer. Online communities such as these offer the benefits of support groups to those who might otherwise be unable or unwilling to participate (including family members and loved ones of the person diagnosed). The continued innovation and growth in consumer empowerment must be both applauded and carefully balanced with improved patient-physician interaction. In addition to our existing responsibilities, we must now decide how to participate with our patients on these sites. Social networks provide our patients with both amazing opportunities and new dangers. With our support, we can help guide them to make wise decisions as they engage and interact with the online world.